Abi Silvester from the bag lady blog featured my work in her feature "unique and handmade". Yeah! To read the article, click here. 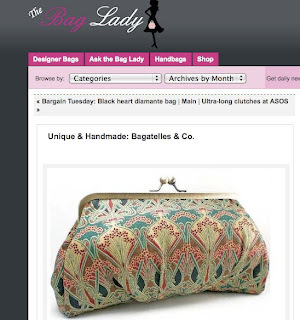 I feel very honoured as it is a bit of a reference in term of handbags! Thank you Abi!